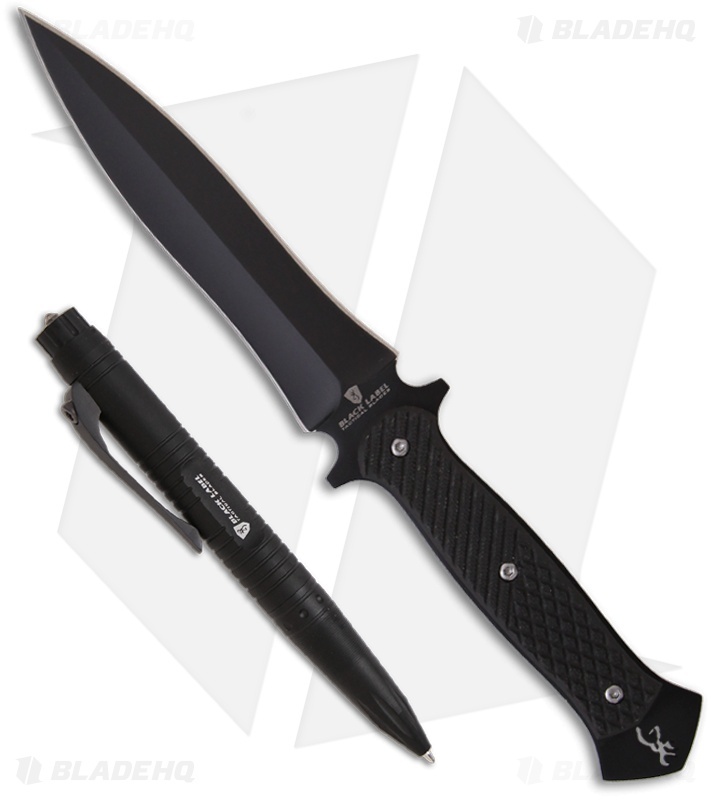 The Browning Black Label Tactical Pen and Letter Opener knife. 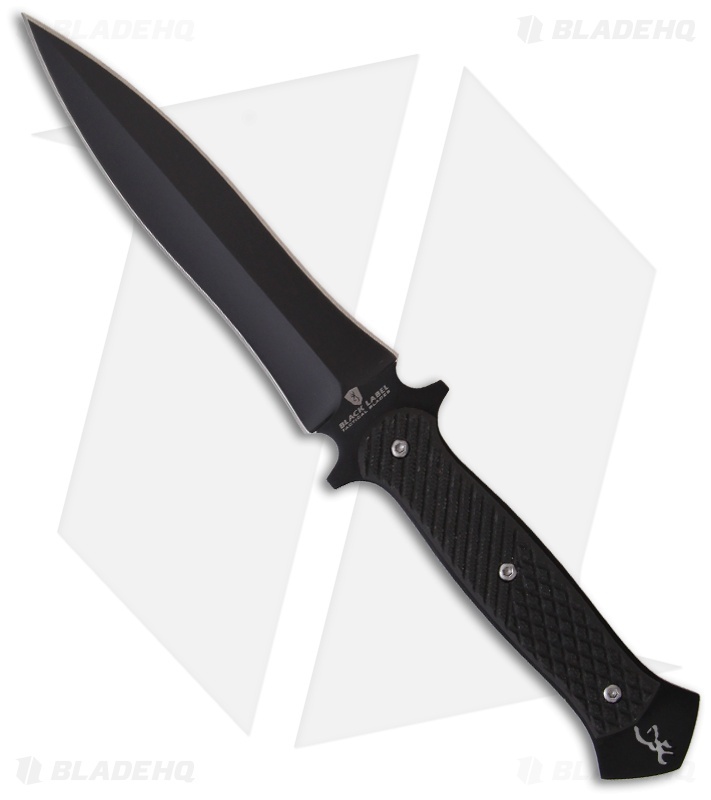 The double-edge blade is black oxide finished. The full-tang blade is chisel ground and flat on the back side. The handle has a single G-10 scale. 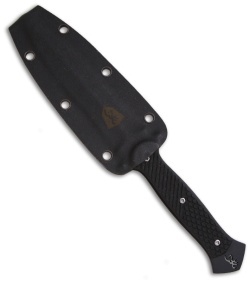 The knife includes a sheath with holes for lashing to gear. 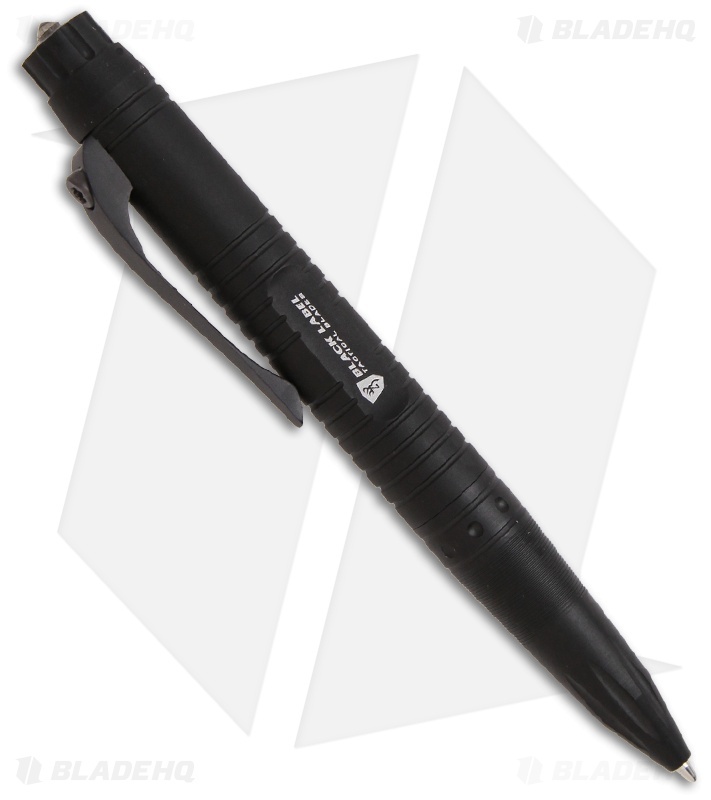 The tactical defense pen has an aluminum body with a stainless pocket clip and a glass breaker tip. The pen tip is retractable with the twist top. Measures 5 inches overall.